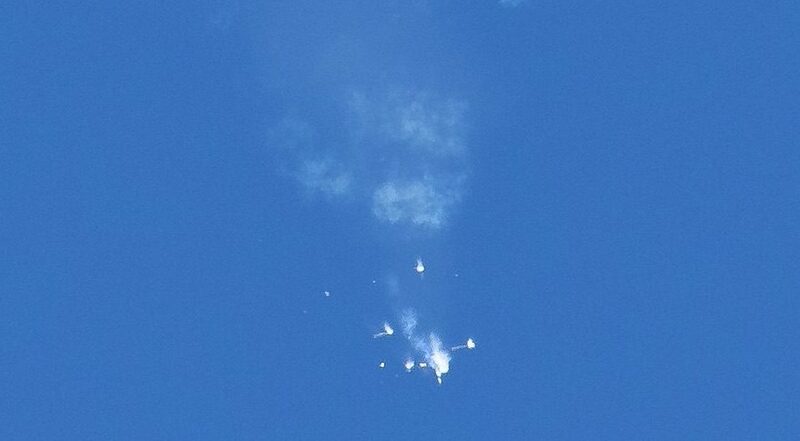 MOSCOW — Details surrounding the dramatic abort of the Oct. 11 Soyuz MS-10 launch are coming into focus as accident investigators collect debris from the Kazakh steppe and begin work on analyzing the cause of the failure. Roscosmos now says one of the Soyuz rocket’s four strap-on boosters failed to properly separate and nicked the core stage. At this point, Krikalev says the onboard computer cut the second stage engines as designed. This took place at about 119 seconds into flight. Not long after, the Soyuz launch escape system was activated — pushing the capsule away from the launch vehicle and sending cosmonaut Alexey Ovchinin and astronaut Nick Hague on a dramatic but safe ballistic trajectory home. Krikalev’s account jibes with what little could be seen from NASA TV’s live broadcast of the launch. Compared to previous launches, Soyuz MS-10’s first stage separation looked messy, and careful examination suggests something knocked the rocket off course. Footage from within the cabin and the crew’s agitated messages to ground controllers also appear to back this up. Unidentified sources quoted by the Kommersant newspaper Oct. 12 said investigators are honing in on the cause of the anomalous booster separation. The leading theory, according to Kommersant’s sources, is that a problem with the separation mechanism or booster mount are responsible for the failure. Computer failure is also being looked at, but at this moment is considered the least likely scenario, Kommersant reported. 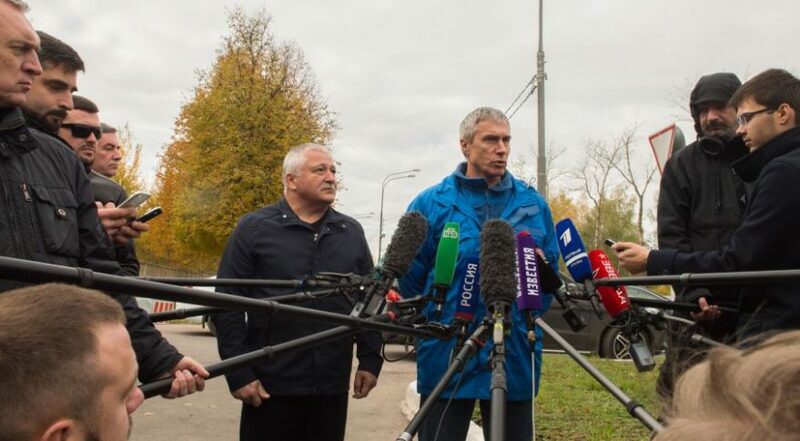 Krikalev suggested the investigation may be swift, promising results by Oct. 20. Though Russia has suspended Soyuz flights amid the investigation, launches have yet to be officially delayed or rescheduled — indicating Roscosmos is hopeful to quickly resolve the problem with minimal interruption to ISS operations and other Soyuz missions. Krikalev also suggested, however that temporary abandonment of ISS is on the table if Soyuz is out of service for an extended time. Everything — which crews will fly when, which Soyuz flights are scrubbed, and the impact on ISS operations — depends on the accident investigation and the implications of those findings for Soyuz flight safety. Meanwhile, Roscosmos director Dmitry Rogozin said Oct. 12 that Hague and Ovchinin will be given another mission as early as spring 2019. The two astronauts are back at the Gagarin Cosmonaut Training Center in Star City, just outside Moscow. They are undergoing further medical evaluations and debriefings with accident investigators.